12" Synthetic cover pink themed slowpitch softball. Polyurethane core. White stitch. 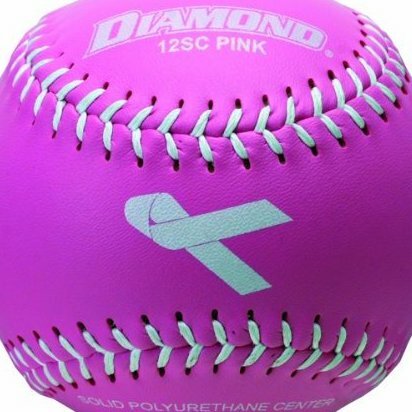 For pink themed softball events.